The last errand my daughters and I ran on Friday while preparing for the arrival of Hurricane Irene in DC was the library, where we stocked up on books in anticipation of the possible loss of electricity and a three-day reading holiday. As things worked out, we didn’t get much more than the equivalent of a strong summer rain storm, although folks to the east and west of us dealt with some nasty stuff. Our reading holiday was cut short, but we did make it through a lot of books. Aside from all the curl-up-in-a-chair-and-read-alone books, there was one book, which one of my daughters had picked up, that we read together: Freakin’ Fabulous: How to Dress, Speak, Behave, Eat, Drink, Entertain, Decorate, and Generally Be Better than Everyone Else , by Clinton Kelly. For those of you who don’t fritter away a lot of hours watching The Learning Channel, Clinton Kelly is the male counterpart to Stacy London on TLC’s What Not to Wear. My favorite section of the book was “Entertain”. I haven’t found so many simple, tasty, impressive looking hors d’oeuvre recipes together in one book in a long time. I’m going to share with you Clinton’s three recipes for tapenade: black olive, green olive, and sun-dried tomato. Because tapenade is parve, it makes a great opening bite in a meat-inclusive meal. Clinton recommends serving all three alongside each other on a slice of crostini, but you can use just one. Clinton calls this collection “Tapenade Threeway”, but I’m calling it Tapenade Three Ways. Still fabulous. You can make them a couple of days ahead, which, for a home catered event, makes them freakin’ fabulous. Put all of the ingredients, except olive oil, into a food processor. Pulse a few times to combine, then add the oil tablespoon by tablespoon until a slightly chunk consistency is achieved. The tapenades can be made a couple of days in advance. Store covered in the fridge. We put on our celebration hats to come up with this cool new wedding punch recipe to celebrate the launch of our new Huppahs.com’s Facebook page. We call our divine creation Summer Bliss. Your guests will love this original summer punch: a cool combination of watermelon, Catoctin Creek Distillery’s Organic (and kosher!) Watershed Gin, and other tasty ingredients. It makes a refreshing and delicious addition to a wedding or party beverage menu. Get the recipe on Huppahs.com’s Facebook page. Along with the recipe, you’ll also find out on our Facebook page how to enter a drawing for a free Catoctin Creek Distillery T-shirt. We even show you how to style your table like we did using garland from FiftyFlowers.com. In Hebrew, the numerical value of the word for nuts, egoz, is 17, the same as the value of the word tov, good. Which means that the two things are related to each other. Hence the prevalence of nuts, particularly almonds, in traditional Jewish wedding celebrations. Spiced almonds also fit into very modern celebrations as a tasty hors d’oeuvre for a cocktail hour or hors d’oeuvre reception. They can be made a week before serving, which makes them self-catered-wedding-friendly. 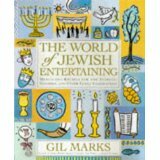 This version comes from Gil Marks’ cookbook, The World of Jewish Entertaining: Menus and Recipes for the Sabbath, Holidays, and Other Family Celebrations . It’s a great go-to cookbook for celebrations large and small. Marks also includes in his book a more savory version with rosemary and cayenne pepper. One of the great things about a cookbook collection is remembering how each book came to be on your kitchen bookshelf. I received this book as a gift after teaching for a few terms at the New North London Synagogue. I miss London! And as Shavuout approaches, I really miss the cheesecake at Paradise Bakery on Golders Green Road. Best cheesecake in the world, you used to be only a short walk from home. Sigh. Let’s see… does Mr. Marks include a cheesecake in his cookbook? He has two! I’m feeling better already. Combine the oil, honey, and spices. Add the almonds and toss to coat. Spread in a single layer on a baking sheet. Roast, stirring occasionally, until the almonds are golden and crisp, about 15 minutes. If desired, sprinkle with salt. Serve warm or at room temperature. Store the almonds in an airtight container at room temperature for up to one week. This is the second hors d’oeuvre recipe in our kosher-fied royal wedding canape reception menu. The total menu serves a 40-person reception. Quail is kosher, and so are quail eggs. In fact, the Torah tells us that when the Israelites wandering in the desert cried out to God for meat, God sent them quail to eat. 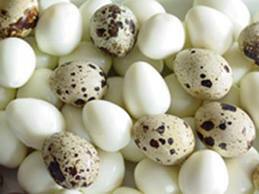 Quail eggs with celery salt are often served as part of an English breakfast. They also make a filling, earthy canape. For breakfast they are usually served in the shell or with the shell half peeled off, but when serving them as reception finger food remove the shells entirely before you serve them. Garnish: Enough leafy herbs to generously line the serving basket or platter. Boil half of the eggs at a time. Bring a large pot of water to boil over moderately high heat. Boil the eggs for 5 minutes. Rinse immediately under cold water. Peel and dry the eggs. Grind or crush the celery seeds, salt, and pepper together. Keep the celery salt covered and dry until ready to use. For an attractive presentation on the buffet, put the peeled eggs in a basket or on a plate generously lined with leafy herbs. Put the celery salt in a bowl alongside the eggs. Boil the eggs a day ahead. Store in the refrigerator. Peel before serving. We’re tickled pink to see that The Queen’s canape reception for Will and Kate took a cue from Backyard Huppah’s own hors d’oeuvres reception menu by including miniature Yorkshire puddings with roast beef. Your welcome, Your Majesty. The full menu from The Queen’s reception is below. It includes some mighty tasty looking tidbits. For your own royal wedding, and for the sheer fun of it, we’re going to create a kosher version of the menu and give you the recipes over the course of a dozen or so posts. The final menu will be meat (fleishig) with parve options. Some of The Queen’s canapès will have to go because they’re just not kosher, like the crab and the pork belly, and some will be cut as we edit the menu down to a selection that is doable for a self-catered reception (although you’ll need to get some help in the kitchen). To start you off, we’re going to link you back to the hors d’oeuvre that started it all: Individual Yorkshire Puddings with Roast Beef, then we’ll move on to Quail Eggs with Celery Salt. See the full menu below. Not all of the foods listed in the menu below are kosher. You can find the edited, kosher version of the menu at Kosher-fied Royal Wedding Hors d’Oeurve Reception Menu with Recipes.